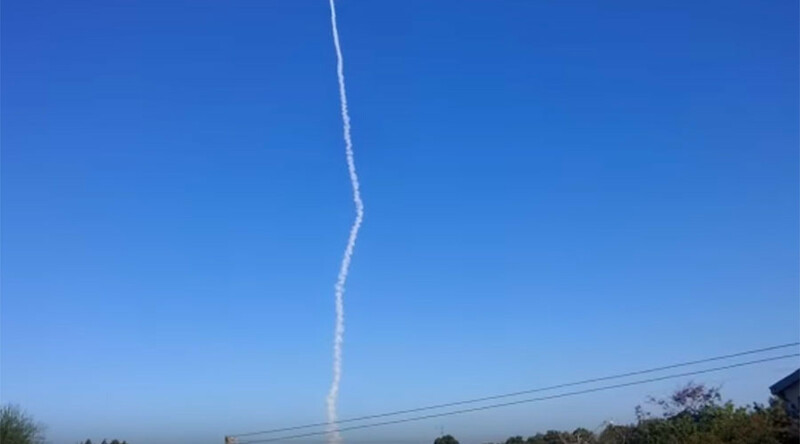 Israel has conducted a test-launch of a rocket propulsion system of an undisclosed missile type, according to the Israeli Air Force. The launch took place in the early hours of Monday at a military base in central Israel, the military said on Twitter. — Israeli Air Force (@IAFsite) 29 мая 2017 г. The rocket’s flight was seen by a number of residents, who posted videos of the launch on social media. — חדשות 10 (@news10) 29 мая 2017 г. It is the first missile firing in the country since January, when the military successfully tested its Magic Wand missile interception system, which it said was close to going into service. Israel currently uses three different systems of air defense. The Iron Dome system intercepts short-range rockets, the Arrow system deals with ballistic missiles outside of the Earth’s atmosphere, and the David’s Sling system shoots down tactical ballistic missiles, medium- to long-range rockets and cruise missiles. According to Western media reports, Israel is also in possession of its own Jericho 3 surface-to-surface intercontinental ballistic missile, which is capable of carrying a nuclear warhead. The Jericho 3 propulsion system reportedly had a range of 4,000 kilometers in 2013, which has since been increased to over 10,000 kilometers.